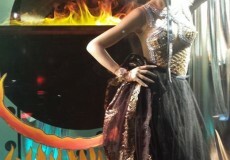 Home > products > Special Effects > Le Maitre LTD.
Special Effects / Le Maitre LTD. 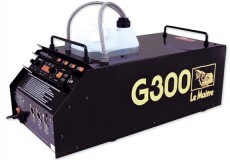 Le Maitre has been manufacturing stage pyrotechnics and smoke and haze machines since 1976. 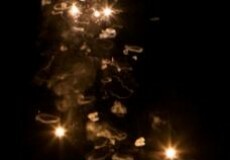 The company consists of the pyrotechnic factory in Peterborough, the Head Office in Mitcham and a Sales Office in Austin, Texas, USA. 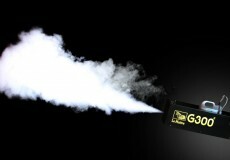 The Mitcham factory produces our range of smoke machines, dry ice machines, hazers and pyrotechnic controllers. 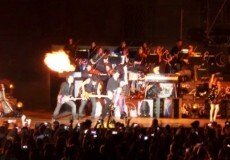 The Peterborough factory produces the world famous range of PyroFlash cartridges and the ProStage II range of professional stage pyrotechnics. Le Maitre's MVS Hazer was currently used in the Cambridge University European Theatre Group's adaptation of Othello. Le Maitre's GForce 1 and GForce 3 smoke generators have been used by Scottish Fire and Rescue Service in a multi-agency exercise. 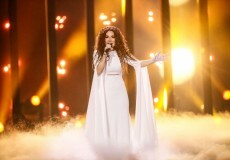 Six of Le Maitre's Freezefog Pro low smoke machines were used in combination with our G300 smoke machines to add to the on-stage spectacle at Eurovision 2018. 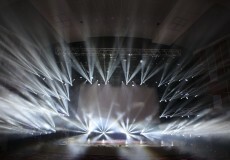 Le Maitre will be showing a wide range of products at this year’s Prolight & Sound on 10th -13th April. 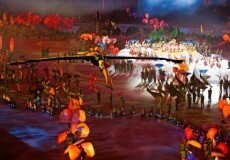 Le Maitre added special effects to the spectacle of the 28th SEA Games in Singapore in June. Perfume your event with the new ScentFX from Le Maître! We are happy to announce that the first five scents of Scent FX from Le Maître are now available: Chocolate Scent, Cotton Candy Scent, Pure White Scent, Vanilla Scent, and Lavender Scent. 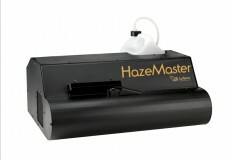 Le Maitre has launched a brand new hazer – the EcoHazer, following terrific feedback from a world first preview at LDI in November last year. To celebrate her 20 years as an artist, the globally recognised singer Laura Pausini used both Le Maître and Magic FX during her The Greatest Hits World Tour in Italy. 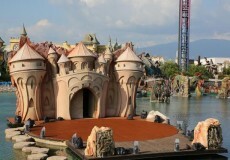 “Illusion” show with several Salamanders from Le Maître entertained visitors at the Rainbow MagicLand in Valmontone close to Rome throughout the summer 2014. 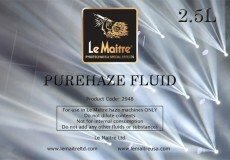 EcoHazer from Le Maitre - Coming Soon! 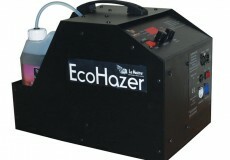 The most energy efficient water-based hazer on the market will soon be launched: the EcoHazer from Le Maitre! 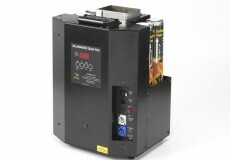 NEW PRODUCT LAUNCH - SALAMANDER QUAD PRO. 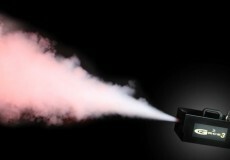 Le Maitre is delighted to announce the launch of the new Salamander Quad Pro flame effect. 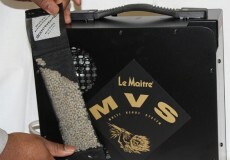 Le Maitre G300 celebrates its 20th anniversary. Le Maitre HazeMaster now available! 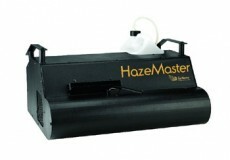 We are delighted to announce the availability of the much awaited HazeMaster. HazeMaster is Le Maitre's most advanced and powerful hazer yet, with the largest output capacity on the market. 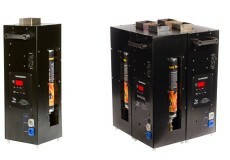 Le Maitre to launch new Haze and Flame Machines at Prolight & Sound. Le Maitre are launching two stunning new machines at this year's Prolight & Sound, Frankfurt. 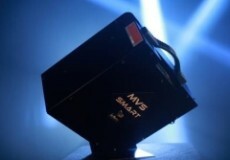 Le Maitre Unveils New Haze and Flame Machines at LDI 2012. Le Maitre Launch New ProStage II Effects. 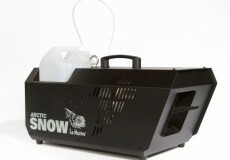 Le Maitre has announced the addition of 7 new products to their ProStage II professional range. LE MAITRE STADIUM HAZERS FOR US RADIOHEAD TOUR. 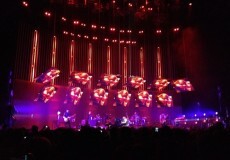 Radiohead headed out on an extensive U.S. tour in February in support of their eighth album, "The King of Limbs." Le Maitre are delighted to have Stadium Hazers on the tour. 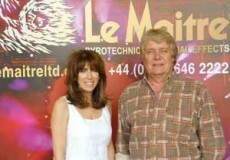 Le Maitre Celebrates 35 Years in business. On the same weekend the country is celebrating the Queen's Diamond Jubilee, there's another celebration taking place at Le Maitre who have just completed their 35th year in business. 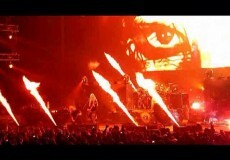 6 LE MAITRE COMETFLAMES FOR NIGHTWISH TOUR. 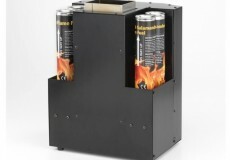 Le Maitre distributor Oy Pyroman Finland Ltd purchased 6 of the new CometFlames for a European tour by Finnish/Swedish heavy metal band Nightwish. 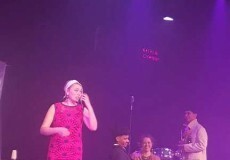 ANOTHER GREAT PROLIGHT & SOUND FRANKFURT FOR LE MAITRE. 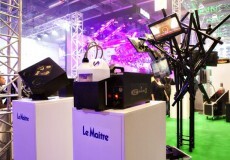 Le Maitre enjoyed another very successful show at Prolight & Sound Frankfurt with German distributor LMP.